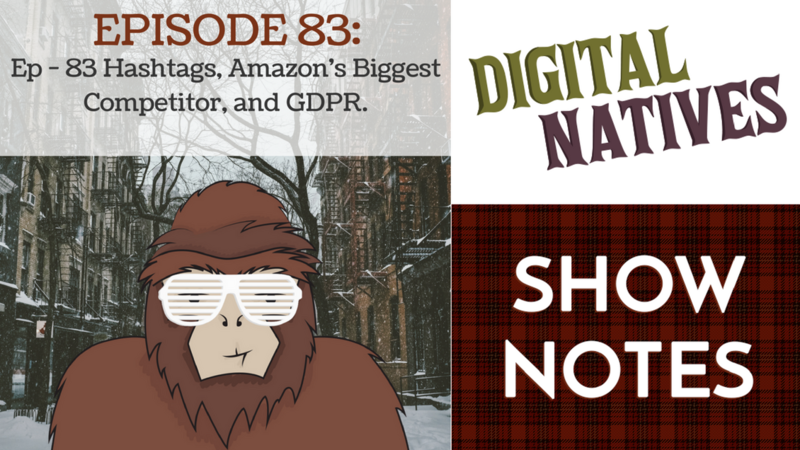 This week on the Digital Natives Cast, Kyle, Min and Mitch talk about how to properly use hashtags, Amazon’s biggest competitor, and what is the EU GDPR. Check in with the Digital Natives every Friday for the latest news in the world of technology, marketing, and design! If you sell to European consumers this is important to you! New regulations are here and you must follow them or be fined! Who is Amazon’s biggest competitor? What are they doing to gain market share in the retail space? Listen to find out! Many of us use hashtags to be found on social media. But what most people don’t know is how to correctly use them. This topic will go over best practices and helpful; insight about hashtags.